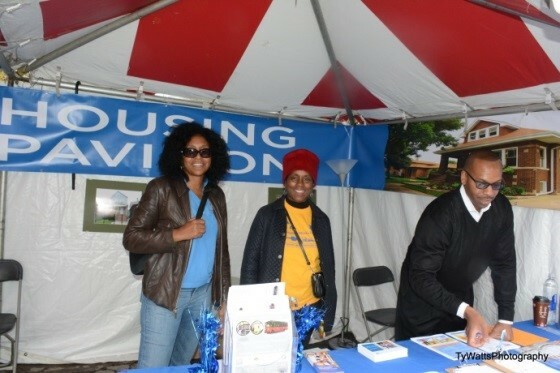 The City of Chicago’s Department of Planning and Development and the Historic Chicago Bungalow Association joined NHS and visitors were able to spin the NHS wheel of fortune, with a chance to win prizes from NHS ink pens and shopping bags to $25 gift cards from Lowe’s. Over 200 guests visited the pavilion and identified their housing interest or need on NHS informational cards. Those identifying home purchase as an interest (53) were contacted for the Auburn Gresham/Englewood Trolley Tour. Additionally, 22 people were contacted for foreclosure prevention and financial capability counseling, 54 people requesting lending information were referred to NLS and 37 were sent homebuyer education class schedules.